National Tour of "American Idiot"
Tickets are now on sale for the Boston run of the national tour of the explosive Broadway hit "American Idiot," dubbed “wonderfully raucous” and “emotionally charged” by The New York Times. The production is set to play the Boston Opera House for a limited engagement, January 24 - 29, 2012. "American Idiot" is part of the Lexus Boston Area Dealers Broadway Across America – Boston Series. Nominated for the 2010 Tony Award for Best Musical and winner of the 2010 Grammy Award for Best Musical Show Album, "American Idiot" tells the story of three boyhood friends, Johnny, Will and Tunny. Unhappily living in suburbia, each of the three is searching for meaning in a post 9-11 world. 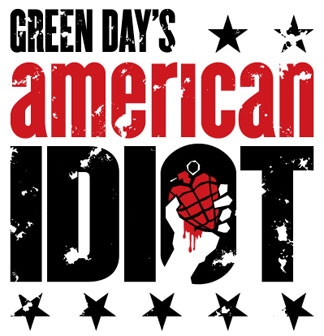 The production is based on the Green Day album of the same name with lyrics by its lead singer Billie Joe Armstrong. The book is by Armstrong and Michael Mayer with direction by the Tony Award winner Mayer (“Spring Awakening”). Producer Tom Hulce commented, “Since its inception, audiences have been surprised by the emotional journey the show takes them on, told almost exclusively through Green Day’s songs, including many they are already familiar with and love. This is such a potent time for our country; the search of our characters for what to believe in is gorgeously celebrated through Billie Joe and Green Day’s wonderfully lush score." The show's acclaimed creative team includes choreography by Olivier Award-winner Steven Hoggett (“Black Watch”), and music supervision, orchestrations and arrangements by Pulitzer Prize-winner Tom Kitt (“Next to Normal”). The Tony Award-winning scenic design by Christine Jones and the Tony Award-winning lighting design by Kevin Adams will also be featured in the tour. For tickets and information, call Ticketmaster at 1-800-982-2787 or visit www.BroadwayAcrossAmerica.com/Boston.